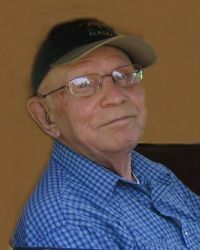 Abram Braun 87 of Carman formerly of Lowe Farm and Plum Coulee passed away March 19, 2012 at the Carman Memorial Hospital. He is survived by brothers Harry (Ann), Art (Isabelle), sisters Ann (Vic), Betty, Edna (Lloyd), Shirley and their families. He was a special uncle and great uncle. He was predeceased by parents Jacob and Mary, brothers John and Ed. Flowers gratefully declined. Donations can be made to Heart and Stroke or Carman Hospital Palliative Care.